Are you under the impression that IT outsourcing services are cookie-cutter businesses with a one-size-fits-all approach to their offerings? While this might have been true at one point, it’s no longer the case at all. Outsourcing IT is becoming highly sophisticated, incredibly tailored, and blessedly pointed. Now you can get your IT services outsourced while still maintaining a unique identity and personalized products and services. Here are the trends shaping customized, finely fitted IT outsourcing today. While most small businesses and startups are well-served by utilizing cloud-based products and services (like SaaS), growing and maturing companies like to pick and choose what they keep conveniently stored onsite and what they tuck in the cloud. This configuration allows them to have ultimate control over the performance of their systems as well as the price they pay for data storage and software applications. The hybrid cloud is ideal for all size businesses, as soon as your needs outgrow a 100 percent cloud model. This trend is just now beginning to emerge, and it’s not yet clear exactly how the business model will shake out in the long run. But most experts believe that, inevitably, companies will pay for the outcome of their products and services, as opposed to merely leasing it from their IT outsourcing agencies. This trend isn’t even limited to cloud services. It has also been discussed in industries from agricultural products to consumer goods. This goes beyond variances in industries. We’ve already seen a good bit of cloud specialization by verticals (such as IT outsourcing services that are tailored to law firms or CPAs or retail businesses), but we’re still seeing a large portion of cloud products and services that are quite standardized. Most offer tiered pricing levels, but not much in the way of customization for each customer. Expect this to change. 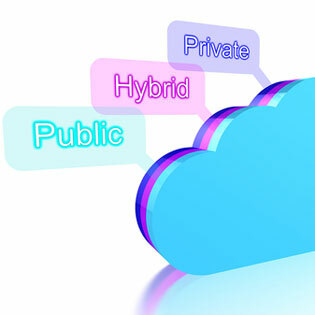 As more businesses look to the cloud to meet their IT needs, cloud service providers will offer more tailored services. Combined with outcome-based pricing models, this will allow for total flexibility and agility in cloud offerings. Businesses have always needed the ability to grow and expand their services, but IT outsourcing agencies also realize the need for businesses to sometimes contract or decrease their services. For example, a company may need a temporary development and testing ground while they are in the process of getting a new project or product off the ground, but that environment may become useless to them after the product launches. Similarly, companies may launch a new product line and then no longer need the services they had relative to their old product line. IT outsourcing firms will become more adept at offering flexible and agile products and services to meet both the growing and changing needs of the business’ IT architecture. Wondering why IT outsourcing has to change so frequently? It’s because of the ever-evolving landscape of technology. If you’re frustrated with all the challenges of growth and fluctuating trends, you aren’t alone!